Enrique Iglesias has millions of fans around the world, but the singer decided to share a little too much information about something much too personal. 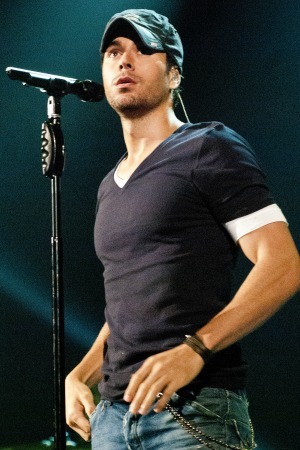 Enrique Iglesias is the dream of probably thousands (or maybe millions?) of women, but he shared some info on parts of him only dreamed about by many. But is it all they imagined? The singer opened up to Billboard (via The New York Post) about his “worst defect” which is “from my waist down.” (You can bet none of them imagined that.) Iglesias admits he is exaggerating, but not in the way you might imagine. But if any women are wondering where they might be able to sneak a peek, Iglesias said he’s keeping his lips sealed. But it’s more about modesty than privacy. Iglesias is at the point in his life where he can say pretty much whatever he wants, and no one will love him any less. He has led a charmed life as the son of a famous singer, but has made his own name in the music industry. In the last month, he performed on The X Factor and sang at the Jingle Ball with stars like Miley Cyrus, Macklemore and Pitbull. Back in 2012, his name was in the hat as one of the new judges for American Idol. Iglesias and longtime girlfriend Anna Kournikova broke up only a few months ago, after more than a decade together, so Iglesias appears to now be focusing on himself, and his music.